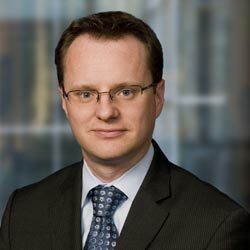 I am very pleased to be able to deliver this speech today to the Montréal CFA Society—my first speech in Quebec as a Deputy Governor of the Bank of Canada. As active stakeholders in the Quebec and Canadian economies, you are at the centre of the economic life of the country. Thus, I don’t have to tell you that the past few years have been challenging. Barely three years ago, the financial crisis was a source of major concern worldwide. This unprecedented event had serious and costly repercussions, which we continue to feel today. In the aftermath of the crisis, the global economy entered a recession that we can rightly characterize as “great.” Economic activity in the G-7 countries dropped by more than 5 per cent. According to the International Monetary Fund (IMF), the number of unemployed persons around the world jumped by more than 30 million, most of them from advanced economies.1 This is a striking figure, especially when we think of it as almost equal to the entire population of Canada. The Canadian economy was not spared: It still faces major difficulties, and significant risks remain on the road ahead. Yet, it is also true that the country’s economic prospects have improved since the crisis, as we see in Montréal, which has enjoyed the strongest growth among Canadian urban centres. In fact, coming out of the recession, Canada is a leader among the G-7 countries. Employment and economic activity have surpassed their pre-recession levels. In light of the progress we have made, we can now ask: What was the real extent of this recession? What are the lessons to be learned, and what are the implications for the future? At first glance, the answers seem simple. After all, a recession is defined as a generalized and sustained decrease of economic activity, of which the broadest measure available is GDP. It would then appear that our task is simply to measure the extent of the decrease in GDP during the most recent recession and then to compare this decrease with other, similar episodes in Canada, or elsewhere. Child’s play, you might think. This could be the first approach that our descendants—future economists, yet to be born, with no inkling of what we just lived through— would take: to study and compare economic cycles in Canada. Examining the economy from this angle, they would observe that the recession of 2007–09 did not seem to be any more serious than previous recessions in Canada and that, in fact, it was much shorter (Chart 1). The behaviour of employment would seem to confirm such a diagnosis: employment losses were much less serious and, compared with other recessions of the past 30 years, jobs were regained much sooner (Chart 2). On the basis of their preliminary diagnosis, our descendants might wonder what all the fuss was about. Let us hope, however, that curiosity spurs these future economists on to further inquiry. Behind this first impression hides a much more complex reality. Canada’s economy weathered a very violent storm, but thanks to wise precautions and appropriate navigation, it arrived safely in port, damaged perhaps, but still afloat. But we cannot judge the severity of the storm on the basis of a safe arrival. Let’s go back to the autumn of 2008. Ministers of finance and central bank governors from around the world meet in Washington. The tension and anger in the air are palpable. After the credit bubble burst in August 2007, the financial crisis spread like wildfire. The liquidity crisis turned into a solvency crisis. In September 2008, the crisis worsened, and its effects were felt throughout the entire American financial system, triggering a series of events at breathtaking speed. In very short order, we witnessed the bankruptcy of Lehman Brothers and the nationalization of Fannie Mae and Freddie Mac.3 The contagion then spread to Europe, where key British, German and Belgian banks were either nationalized or needed major bailouts. Stock markets registered their greatest drops in more than 75 years. Although Canada was not at the epicentre of the crisis, the contagion can spread through a number of transmission channels. The financial crisis was clearly leading to a massive slowdown of global economic activity, with a direct impact on foreign trade. Since three-quarters of our exports are destined for markets in the United States, experience taught us that when the United States sneezes, Canada catches a cold (Chart 3). For all these reasons, the financial crisis was expected to have a significant impact in Canada, and for the first phase of the cycle, this was certainly the case. During the last recession, GDP declined by 3.3 per cent over three quarters. In contrast, over the same period of time in the 1980s and the 1990s, it fell by 2.2 per cent and 1.9 per cent, respectively. A prominent feature of the recent recession was the spectacular drop in exports. Exports were harder hit than in any previous recession, decreasing by 16 per cent over three quarters, while the most significant drop during the recessions of the 1980s and 1990s was only 8 per cent (Chart 4). Investments were equally hard hit by the recession. There was a 22 per cent downturn in investments over just three quarters (Chart 5). Nothing like this has ever been seen. It took two years during the 1980s recession, and three years during the 1990s recession, before a downturn of comparable magnitude was recorded. This recent decline in investment is partly due to the exceptionally high levels of uncertainty haunting the global economy. In sum, the recent recession was different from previous ones, owing to a more pronounced slowdown triggered by unusually steep drops in exports and investment. During its initial phase, the effects of the crisis in Canada—albeit to a somewhat lesser degree—were comparable to those in the United States and showed real signs of becoming a “Great Recession” (Chart 6). Despite the rapid slowdown, the recovery was faster than those that followed previous recessions. Why? Neither exports nor investments can provide the answer. While GDP has recovered to pre-recession levels, business investment and exports have only recovered 45 per cent and 67 per cent, respectively, of the losses incurred during the recession. If the recovery was speedier, despite weaker contributions from investment and exports, support for the recovery must have come from household and government spending. This was indeed the case. Household spending declined by only 2 per cent between 2009 and 2010, compared with 6 per cent during the previous two recessions. The contribution of government spending to growth was more than one percentage point in each year. The greater strength of household and government spending reflects Canada’s favourable position at the outset of the recession. Major adjustments had been made to the structure of the Canadian economy. Business and household balance sheets were relatively sound, and the banking system was robust, managed prudently, and sufficiently capitalized. Canada’s monetary policy framework had been effective and was credible. The fiscal situation was favourable, and the social safety net and regulatory framework were effective. As well, household spending was boosted by the prosperity arising from strong demand for our natural resources and by improved terms of trade. This favourable position gave Canada the flexibility it needed to respond strongly to the crisis without compromising the credibility of our public policy frameworks. Thanks to the expansionary monetary and fiscal measures adopted in concert with other G-20 countries, Canada was able to support domestic demand which contributed significantly to the economic recovery. In Canada, then, we had room to manoeuvre to help us effectively absorb the aftershocks of the global economic crisis. It is essential to maintain this buffer in light of the elevated risks that still exist worldwide and the structural issues that persist in the Canadian economy, even after the recession. The standard of living that we will be able to sustain in the medium term will depend, in fact, on our ability to address these issues. Allow me to address three of these issues: household indebtedness, international competitiveness and, more importantly, our productivity. Let us start with household debt. Since the beginning of the recovery, household credit has increased at twice the rate of personal disposable income. In the autumn of 2010, Canadian household debt climbed to an unprecedented level of 147 per cent of disposable income (Chart 7). The relatively healthy financial condition of Canadian households at the beginning of the “Great” Recession helped the Canadian economy to better withstand the initial shocks of the crisis. However, going forward, it is essential to maintain the necessary room to manoeuvre to keep household spending on a viable path. This leads us to believe that the rate of household spending will more closely correspond to future earnings, and certain signs to that effect have already been observed. The second issue is our ability to compete internationally. The slow recovery of exports is due in part to the sluggishness of global economic activity. It is also due to the continued erosion of Canadian business competitiveness over the past ten years. This erosion can be attributed to the appreciation of the Canadian dollar and Canada’s poor productivity performance. Thus, Canadian exporters are seeing their market shares for a wide range of goods drop in the U.S. market—by far the most important market for Canada—while exporters in other countries, such as China and Mexico, are gaining ground (Chart 8). As global economic growth continues to take root, we are seeing early evidence of a recovery in net exports. But, at this point, exports are still weak when compared with previous recessions. And in a world of growing international competition, we should not assume that the forces causing the erosion of competitiveness through the previous decade will simply fade away because of a global recovery. This situation highlights the need to diversify our export markets and increase our ability to compete, not only with American producers, but also with other foreign exporters. This brings us to the third issue. As I just discussed, international competitiveness is based on our ingenuity, the efficiency with which we produce, or, for short, productivity. But beyond its influence on international competitiveness, productivity is a fundamental determinant of our economic well-being. To improve productivity, we need investment. The slow recovery of investment in this cycle is particularly surprising in light of relatively favourable financial conditions: interest rates remain low, and the exchange rate facilitates imports of machinery and equipment. Yet heightened uncertainty is only part of the explanation. Although the recession in the United States was more serious and Americans faced at least the same degree of global uncertainty as we experienced in Canada, Canadian business investment in machinery and equipment lags behind that of the United States (Chart 9). In 2009, Canadian workers had access, on average, to approximately half the capital expenditures in machinery and equipment and information and communication technologies (ICT) of those available to their American counterparts. This is not a new phenomenon. In fact, between 1987 and 2009, Canadian investment in machinery and equipment and ICT per worker represented, on average, 77 per cent and 59 per cent, respectively, of similar American investments. It is true that business investment started to recover at the end of 2009. Yet much progress remains to be made: less than half of the extraordinary drop in investments of the last recession have been recovered. With the increasing globalization of markets and the demographic challenges we face, maintaining our standard of living will require improved productivity. We must continue to innovate and to invest in promising projects. We are fond of repeating the old adage: “An ounce of prevention is worth a pound of cure.” Recent experience expands the notion and shows that good prevention measures can also make the cure more effective. Before the Great Recession, Canada was able to protect itself by ensuring that it had room to manoeuvre to absorb the shocks of the crisis. The lessons we learned from the past were reflected in the adoption of sound public policy frameworks. A solid position, combined with the relatively healthy state of Canadian households, gave us the flexibility to withstand the worst effects of the global shock. Future economists studying the 2007–09 recession in Canada may find it difficult to go beyond their first impressions and assess its true impact. Some will undoubtedly surmise that the economic activity of this time did indeed reflect, not only the extent of the shock, but also our ability to absorb it. The storm we weathered was a major one. We should not forget that it could have struck at a time when we were more vulnerable and less flexible. Things could have unfolded very differently, with disastrous results. It is some comfort to know that, collectively, we were able to limit the damage. We must proceed with the strategy that has served us so well: continue to learn from our experiences to ensure better prevention and, when necessary, a better cure. For this, we must strive to deal with the issues that confront us with strength and determination.